Richard and Patricia are a dysfunctional but successful NYC couple who live on the affluent Upper West Side whose lives intersect with a young man from Turkey Scratch, Arkansas. This sophisticated New York couple inadvertently sign up to “adopt a sailor,” during Fleet Week, only to have completely forgotten they’ve done so by the time he shows up at their doorstep. His presence not only throws their schedules off kilter, but brings a shift to their very outlook of the world outside their apartment. These three very different people eventually effect each other's lives in a huge way and find they have more in common than they might have ever imagined. 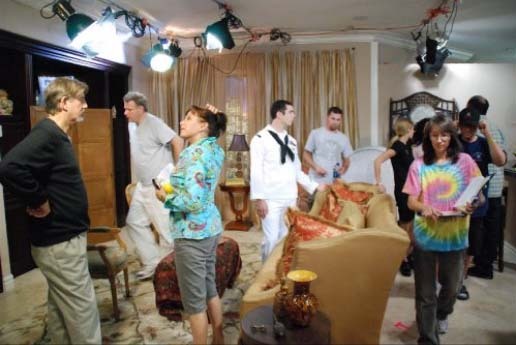 Filming took place in sectors of Manhattan, on board the USS Wasp during Fleet Week in May, and during July in a Coachella Valley home decorated to resemble a posh New York apartment. 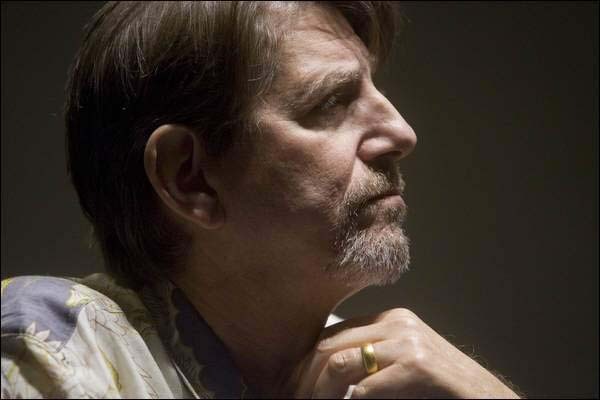 “I am really happy about this film, otherwise I wouldn’t be here,” Peter told Desert Local News. 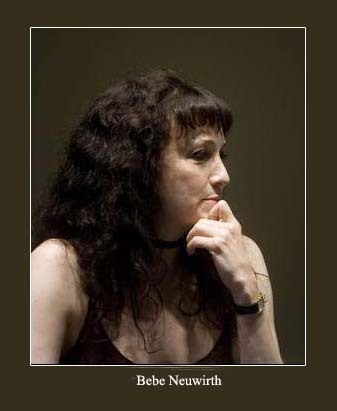 “It’s a heartfelt project.” Bebe Neuwirth was familiar with the original play from performing a 10-minute version as part of the 2002 Brave New World showcase to commemorate the first anniversary of the Sept. 11 attacks. 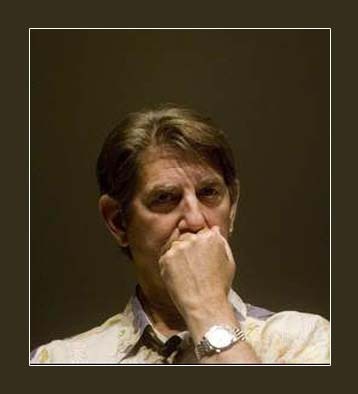 After Bebe landed her role for the film version, and casting began for the role of her husband, she asked Evered, "Does anybody love Peter Coyote?" Bebe forwarded him the script, he had time in his schedule and said yes. Peter told Evered while accepting the part that the script hit home. He said it was the first time he'd laughed out loud while reading a script in a long time, and he told Evered, 'I'm going to do everything in my power to make this work." 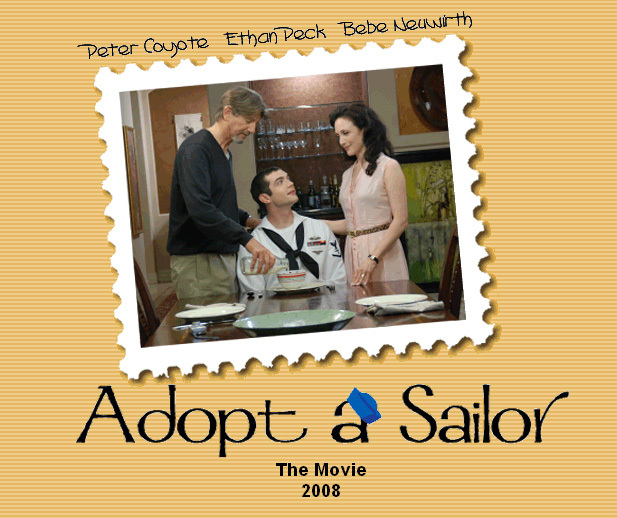 "'Adopt a Sailor' is just what it is. It's an art film, really - about three people who have dinner in a New York apartment over one evening. That's it, that's the movie. It's what they all go through during this evening that hopefully makes it meaningful. It's not 'Transformers' or 'Lawrence of Arabia'. We're just trying to tell the story of these three people, and hopefully, on some level, other people will find their own lives and experiences reflected in it. When you have people like Bebe Neuwirth and Peter Coyote, who have won Tonys and Emmys and worked with directors lik e Polanski, Weir, Spielberg, etc. - what are you going to tell them? So I just had little private discussions with them. Peter and Bebe are brilliant in this movie. People will see both of them in an entirely new light. They think they know Bebe as that character in 'Cheers'? Well, that character disappears in this film, because Bebe shows a level of vulnerability on screen in 'Adopt a Sailor' that she's never shown before. And Peter is the same way - he's not just a handsome stud in this film, with this great raspy voice. He's edgy, hilariously funny and warm, all at the same time. The strength of 'Adopt a Sailor' are the performances, I can tell that already - and I'm proud of that. And as for Ethan, he's just a revelation, he really is. He has natural film acting skill. Maybe it is hereditary, who knows?" 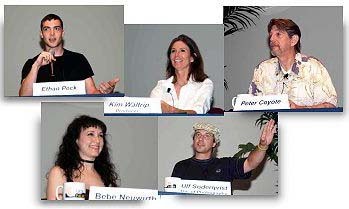 Here are some photos taken at the UC Riverside Palm Desert Graduate Center where the cast and crew met with the public on August 2, 2007. 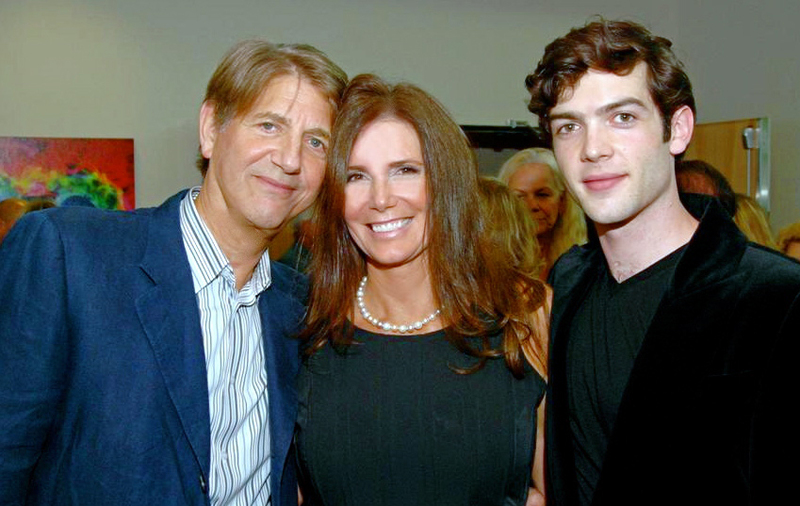 Peter with Ethan Peck and on the right with producer Kim Waltrip. "It's very much like a play with pages and pages of dialogue. The entire budget is $200,000. It's a juicy, wonderful part with two great co-stars.... Though working with a first-time director can sometimes be problematic, working with Charles was like heaven. He wrote the play, he's lived it, but he has the sense to trust his actors. His direction was sparse and sure." Sometimes it takes an unexpected jolt to awaken the realization that life is not merely floating by for everyone. 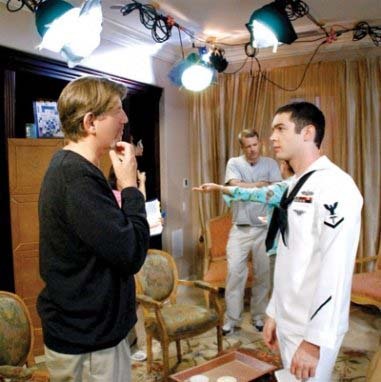 In “Adopt a Sailor,” a young man hits New York City for a night during Fleet Week, spending the evening with a couple who has volunteered to host a sailor — only they have forgotten. His presence throws their schedules off kilter and changes their outlook on the world outside of their apartment. 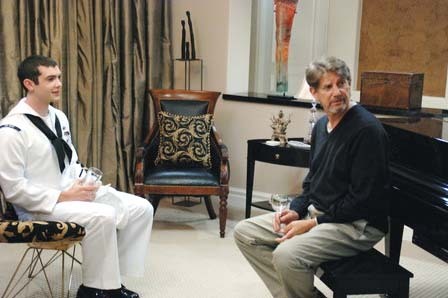 Charles Evered makes his directorial debut with “Adopt a Sailor,” based on the dichotomy of his experience as a sailor and writer. Palm Desert producer Kim Waltrip of WonderStar Productions worked for two years with Evered, a professor at UC Riverside, to bring the film to the screen. The interiors were shot in the Coachella Valley. 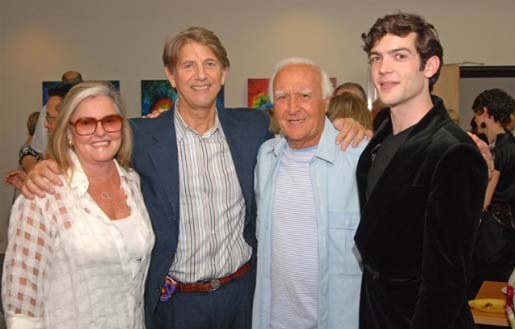 The film began as a short play to commemorate Sept. 11, 2001, at a special event. It certainly retains the close feel of a stage set with three characters bound by an evening of obligation. Though the topic expanded from a couple's reaction to the city's attacks to a night with a sailor about to return to war, soul searching remains the story's central focus. Ethan Peck (“10 Things I Hate about You”) stars as the sailor and shares a natural poise and handsome resemblance to grandfather Gregory Peck. 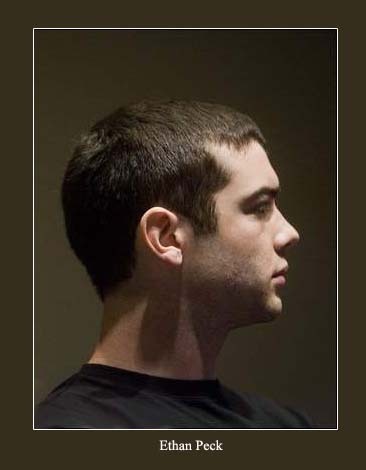 His character holds a careful balance between aw-shucks mannerisms and a quiet thoughtfulness. Bebe Neuwirth (“Frasier”) shows off her acting chops as Patricia, perfectly cast for the bold role as an annoyed and nagging wife who manages to incite sympathy despite passive aggressive tendencies. 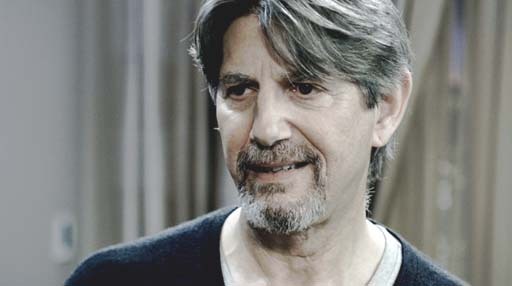 Peter Coyote (“The 4400”) hams up his role as Richard, a dependent husband with no serious concerns who finds excessive emotional weight in every situation. Following one excessive diatribe, he labels himself as a “wanker dilettante idiot.” The shoe fits. 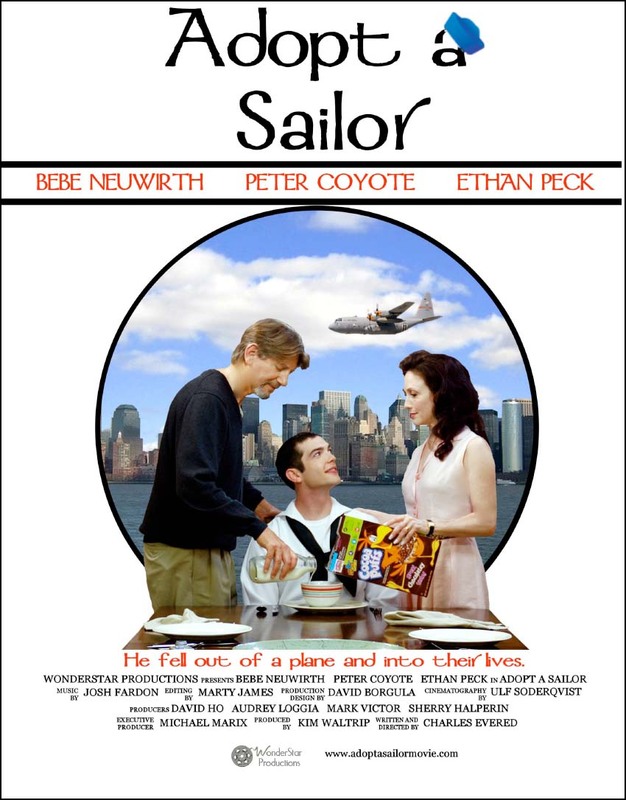 Peck's sailor becomes the hinge on which the unhappy couple evaluates their lives, whether they are loudly confronting each other in front of him or individually speaking with him as to how their lives have evolved from former contentment. Through the sailor's naïveté, the couple finds superiority and guilt. The more they justify their behavior, the more they become aware that there is a third person in the room and that their insecurities do not affect his world. It slowly becomes clear that the couple did not simply adopt a sailor but found a broader view of the world around them.